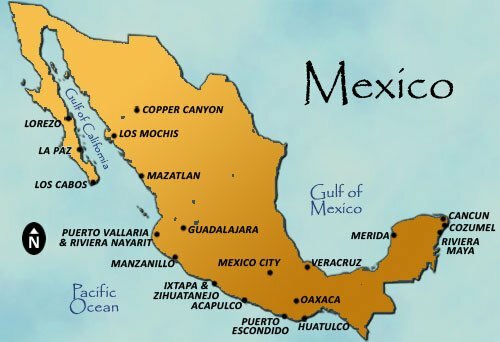 Millions of visitors flock to Mexico every year for its tropical weather, historic charm and low prices. A favorite destination among budget conscious travelers looking for stylish accommodations at affordable prices, resorts in this exotic country offer an enticing variety of amenities and activities to please families, singles and couples. Active travelers will enjoy activities such as deep-sea fishing, scuba diving, snorkeling, parasailing, horse back riding, and ATV tours. Those who are looking for peace and quiet will appreciate secluded beaches for sunbathing and unwinding, while immense mountains and rainforests offer visitors the opportunity to lose themselves in nature’s beauty. Historic sites and ethereal ruins, as well as world-class museums, galleries, and restaurants are also valuable excursions. Each of the Mexico locations we offer has a character all its own and provides a unique travel experience. Error: Error validating access token: Session has expired on Tuesday, 26-Feb-19 11:00:00 PST. The current time is Saturday, 20-Apr-19 19:14:25 PDT.